For the past several weeks at work I’ve been gradually working on upgrading our OS X server from Leopard to Tiger. The process has certainly not been without hiccups, but it has gone smoothly for the most part. After an initial false start attempting to simply upgrade the server, I ended up simply installing the Leopard server from a blank disk. This seemed to take care of most of the really strange things that were happening after the upgrade. This particular server is of the headless XServe variety, so we primarily use Apple Remote Desktop to access it in addition to the Server Admin Tools and SSH. Since installing Leopard on the server however, I’ve been noticing that at times it is acting erratically. Usually I’ll first notice that the server will either stop showing up in ARD or it show up as black, indicating that there is no ARD agent on the computer. I’ve tried restarting the computer, which will fix it, but that’s not a very good solution for obvious reasons. Running this command restarts the ARD Agent, which is what we want if it is frozen. Once I did this things got a little better, and the server came up in ARD as active. I tried controlling the server through ARD, but no dice, still no connection. When remotely managing an XServe with OS 10.5.1 from a 10.4.11 client with ARD 3.2, several times (3 up till now) the server UI becomes unresponsive, at least finder. This even gets worse when trying to start the Application Monitor, then also the Dock freezes, and the Application Monitor UI never opens. When doing an ssh> sudo top, it shows that both “Application Monitor” and “VNCDragHelper” do consume almost 100% CPU. 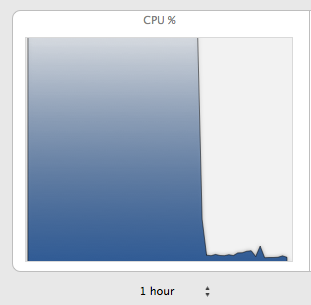 Luckily only on a Single core, but that keeps two cores (one processor 100% busy). killall “Activity Monitor” brings the activity monitor down, when sending it with Remote Desktop Unix command. Suddenly after running both those commands, the server leapt back to responsiveness. I was able to access it in ARD without problem. 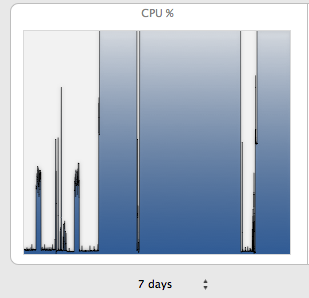 Also, after about an hour I checked the CPU diagram in Server Admin and was able to see a noticeable improvement. Now that’s a sight for sore eyes. For reference, I was running 10.5.3 and ARD 3.1 when this problem happened. I’m not sure that anything has been fixed in 10.5.4 though.